idWhere© Assets Management Suite is the premier automated inventory repository for physical assets management and is scalable to meet every corporate challenge. idWhere© Assets Management Suite offers asset and materials management solutions to Small, Medium and Large companies who need to ‘Get a handle on their corporate assets.’ The idWhere© Assets Management Suite meets all corporate budgets while still delivering world class data collection, reporting, user interface, application features and up-grade ability. Lease - When do they end and am I still paying for things that I am done with? Manufacturer - What is my contact information for the manufacturers of my assets? Supplier - Who did I get this from and ho do I get in touch with them? Warranty - When is this out of warranty? Who do I contact? What is my service number? Answers the questions of: Where is it? Who is using it? What is the status? 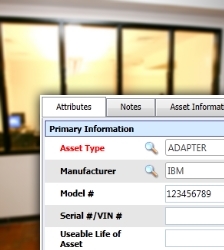 Using the most advanced data collection technologies, idWhere© Assets Management Suite delivers fast and accurate inventory data while tracking almost every conceivable status of your current inventory. It integrates well with existing Network SW and Help Desk packages to close the loop on Assets Management and put the help desk ticket into the hands of the IT professional who needs it. 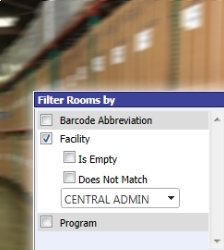 In this electronic form on a barcode scanning PDA, an IT person can do all the work necessary in a paperless manner, eliminating duplicate data entry; close a help desk ticket; do a spot physical inventory; capture a signature on a closed help desk ticket; view configuration information from your network SW on the PDA at a user’s desk… Imagine the power of Enterprise Mobility at work. Manage licenses to ensure compliance and optimize purchasing decisions. Visualize the relationships between assets, warranties, contracts, users, and organizational units to enable comprehensive asset reporting. Manage the status of each asset and use business procedure "state" changes to automate common business processes, such as employee on-boarding or asset reallocation. Auditing at the field level to properly understand the chain of custody for every asset. Manage change with confidence by driving predictable and repeatable day-to-day operations. Make smarter, faster decisions based on real-time, data-driven conclusions. Manage assets through changes: growth, reduction, consolidation, and transfer. Drive innovation by automating common IT processes and adopting new technologies without adding new tools, people or methodologies. Integration into 3rd Party products including standard accounting systems. Radio-frequency identification (RFID): By utilizing RFID, entire inventory can be undertaken by asset managers on a regular basis in a matter of minutes, without impacting the organization’s core operations in any way, without lifting or moving a single asset. The tight integration with the full asset history and reporting ensures unprecedented accuracy and audit ability of the entire asset register. 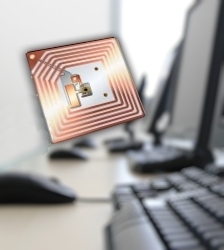 idWhere can take advantage of both passive and active RFID tags. Barcoding: Through the use of linear and 2D barcodes, your entire warranty and service information can be available through a single scan. 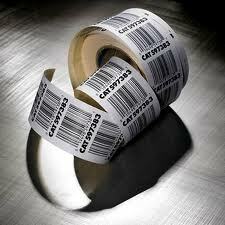 idWhere will also utilize the manufacture’s serial number barcode for asset synchronization. 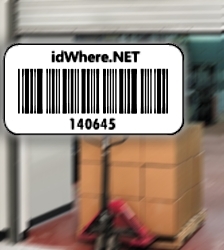 Handheld and Fixed Mount Barcode Scanners: idWhere has been designed to work with mobile handheld computers in conjunction with barcodes and RFID tags to increase the efficiency and accuracy of the data collection process. Our focus is on helping organizations transform the way they track and manage their activities, by providing data collection techniques which are fast, easy, and accurate, and by providing the tools to process and present that data in a timely and useful fashion. Printers: idWhere directly integrates with thermal transfer and direct thermal barcode printers to produce precise barcodes capable of instant scanability. The printers can be directly configured on the network or specific to a particular workstation. Xiacon will help you properly organize the tangled web of manufacturer barcodes and allow you to quickly locate and manage your assets.